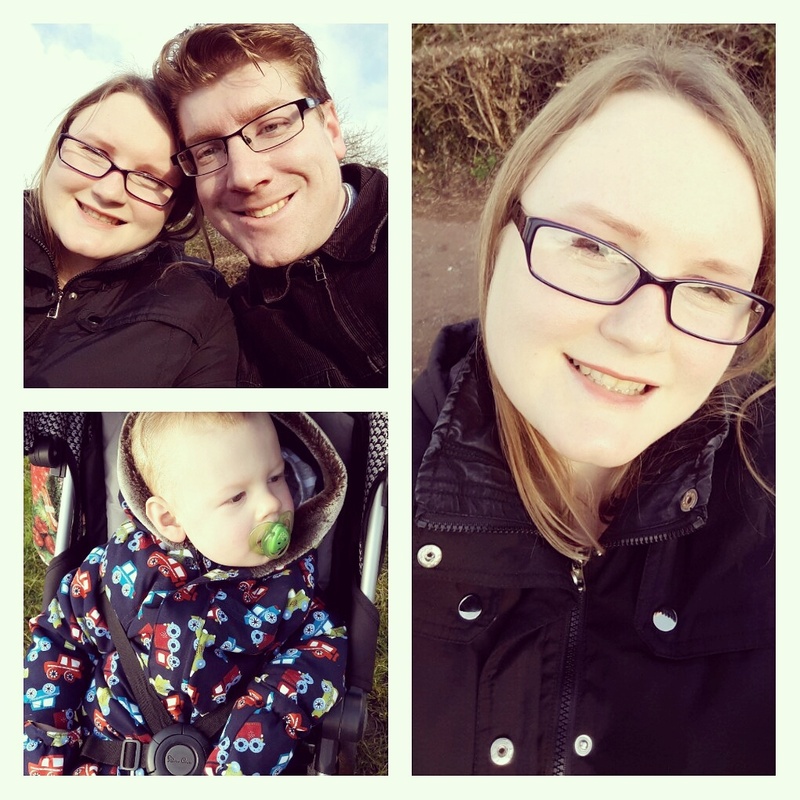 One of the things we love to do as a family is go for walks and this year we are aiming to visit places we've either not been to before or not been to in ages. I've been feeling much better this week and so I've made the effort to go out a lot more and do more things with Blake. We have been to soft play as well as going to our local park and yesterday we headed over to Milton Keynes to spend time with my family for a little party in celebration of my Mum's 60th which was on Thursday (19th). Blake was getting very overwhelmed and tired so we took him out for a walk to try and calm him down,which worked briefly. I miss going for walks in the local park of my home town, however I do love Leighton Buzzard and can't see myself wanting to live anywhere else in the future. It was a nice change of scenery especially for Blake and we decided to pop to the cemetery to go and see both my Dad and Grandad's graves. Going for walks is something we love to do no matter the season. I love wrapping up warm in the colder months and feeling cosy. In the warmer months I love to just be outside and enjoy the feel of the sun on my skin. I just love the ordinary family moments of spending time outdoors. I love going for a walk too, I live by the beach so it can be a really lovely way to relax and fit in a bit of exercise! Love the photographs, you all look so happy and content. Couldn't agree more we love walks all year round. Since having children I have a new found respect for just getting out and everyone feels better! I do love going for walks and have really increased the number of power walks I do each week.